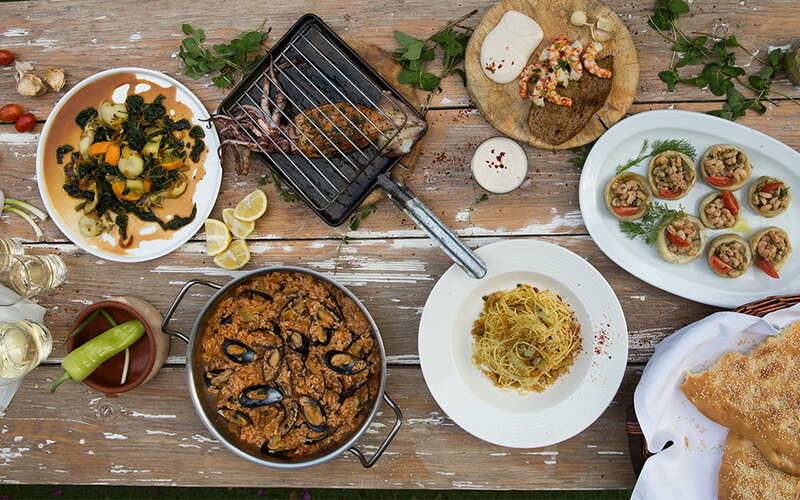 No one should leave Greece without tasting some of the amazing seafood cooked by the country’s top chefs. If you were under the impression that you have to travel to the islands to enjoy great seafood, think again. Greeks – no matter where they live – love what their seas have to offer so much that even young children know how to bone a grilled red mullet, and dishes like stewed octopus and fried cod are staples both at home, and in some of the best restaurants in the country. There is something for every taste. Since everyone here loves fish, you can find incredible options in every restaurant category, whether you want a budget option, fine dining, traditional flavors, or something truly innovative. Most importantly, whether you can see the sea from your table or not, the chefs know how to make you feel as though it’s right there. So close your eyes, take a bite, and experience the best the Mediterranean has to offer. 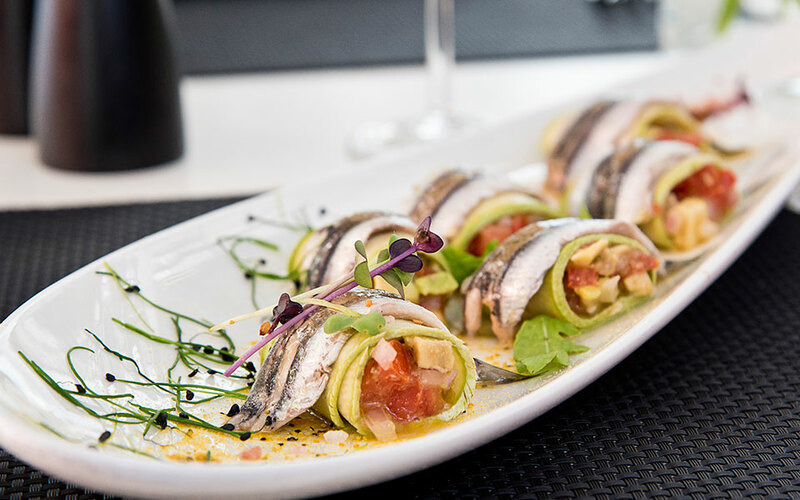 The modern Afropsaro offers a creative menu for those who love seafood, with dishes prepared in an open kitchen. Aside from grilled fish, good orders are the orzottos and the seafood pastas, the taramosalata (fish roe dip), the shrimp from Kymi, the grouper fricassee, and the sea bream sashimi with wild greens. Not actually in Athens but the perfect option to combine with a trip down the coast. Just before Sounio, you’ll come across this fish taverna which is famous for their breaded mussels, tender octopus, and fresh fish. As a starter, get the silky-smooth fish soup. 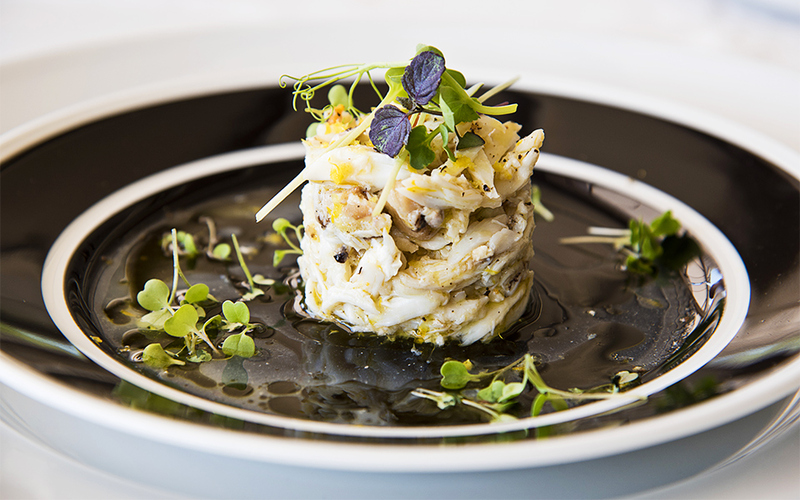 Continue with a variety of seafood dishes made by talented chef Nikos Mihail. Try the eel, the mussels, and many more of the cooked, or simply marinated, fish and seafood options. Depending on the catch of the day, the specials may include paella, sea bass carpaccio, or amberjack ceviche. 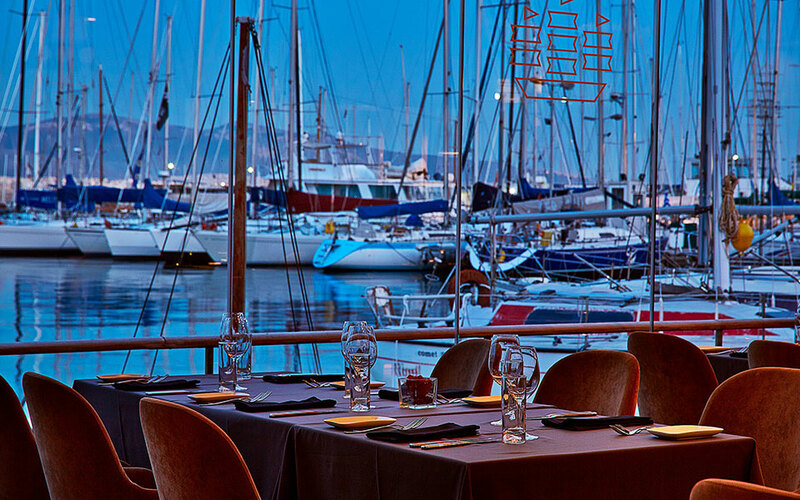 Papaioannou is a traditional seafood restaurant by the water’s edge in Mikrolimano in Piraeus. Everything you order is fresh, caught by fishermen who work exclusively for this restaurant. Smooth clams, mussels, octopus, and grilled or pan-fried fish are all great choices. Absolute musts are the shrimp ceviche, the smoked eel, and the taramosalata (fish roe dip). If you love fish soup, this is the place for one that is delicious and filling. They also serve clever seafood and fish-based meze dishes. The owners, brothers Spyros and Vangelis Liakos (who also run a very successful steak house called Base Grill), collaborate with fishermen from Halkida and Kalymnos, among other places, and serve innovative food such as red mullet tartare, fava (yellow split pea dip) with smoked eel and bacon, and more. This down-to-earth fish restaurant, run by Vasilis Akrivos in the suburb of Nea Iraklio, serves seafood that’s as fresh as it gets. If you enjoy raw shellfish, try the smooth clams and sea squirts. Also don’t miss the smoked mussels, the crab salad, the bougiourdi octopus, and the noodles with eel, shrimp, and ginger. This is an excellent choice for large salt-baked fish, fish soup, and seafood meze, as you get to pick out the fish and seafood yourself, which is then prepared for you. Try the bonito from Mytilini, the taramosalata with bottarga, and the baked shrimp. 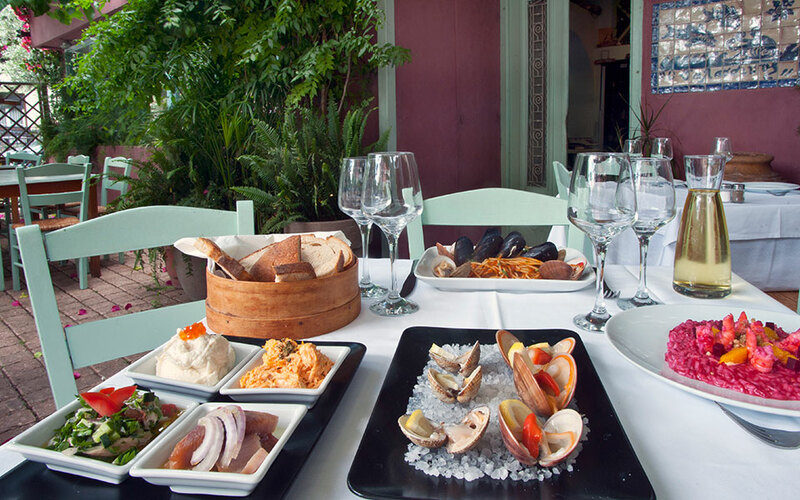 The fresh fish and seafood at Thalassinos come from Limnos, Mytilini, and Mani. It’s an all-time classic choice, and the quality of the food is always high. Masters at grilling and lightly frying to perfection, they serve many excellent meze dishes. Try the octopus with honey, the grilled squid with pesto, and the cabbage salad with smoked trout. Wild greens, french fries, fresh fish, and seafood. 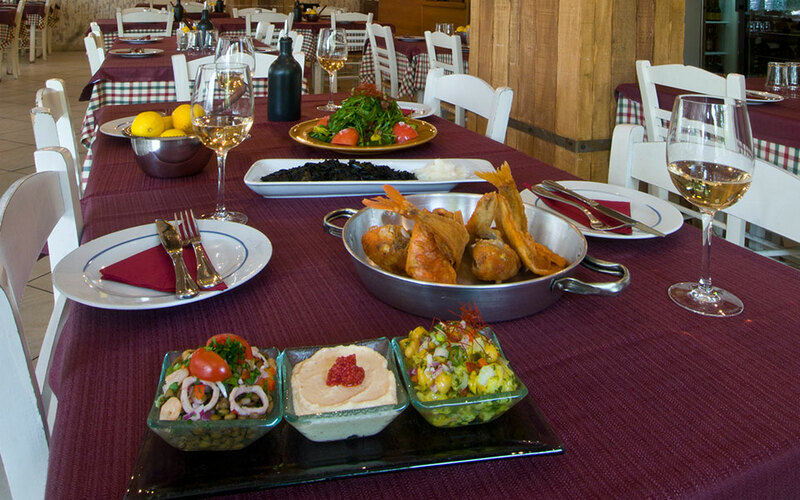 Giannis on Hatzikiriakou Street has everything you could ask from a traditional fish taverna. 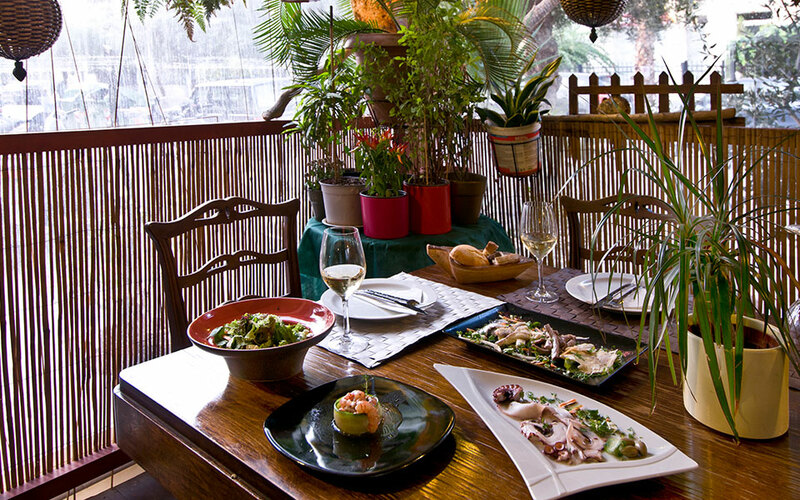 Their specialty is the shrimp, the grilled octopus, and the pan-fried red mullet. The most famous seafood chef in Greece, Lefteris Lazarou, runs Varoulko. The impressive menu he has created together with Giannis Parikos includes items such as fish soup with stonefish bouillon, marinated sea bass with wild greens, grilled cuttlefish with caramelized lentils and orange sauce, steamed monkfish with onions, celery, peppers and extra virgin olive oil, and – of course – grilled fish of the day. The sea bass fricassee is fragrant and delicious, as are the fresh smooth clams, the sea urchin with extra virgin olive oil, the crayfish from Halkida, and the octopus from Mytilini. Add to this (and the many more excellent options on the menu) a relaxed atmosphere and excellent service. The blue tables at this seaside taverna reach all the way to the down to the water’s edge, and if the weather allows, it is worth it to sit outside. It has been here for about 60 years, and it has the charm to prove it. 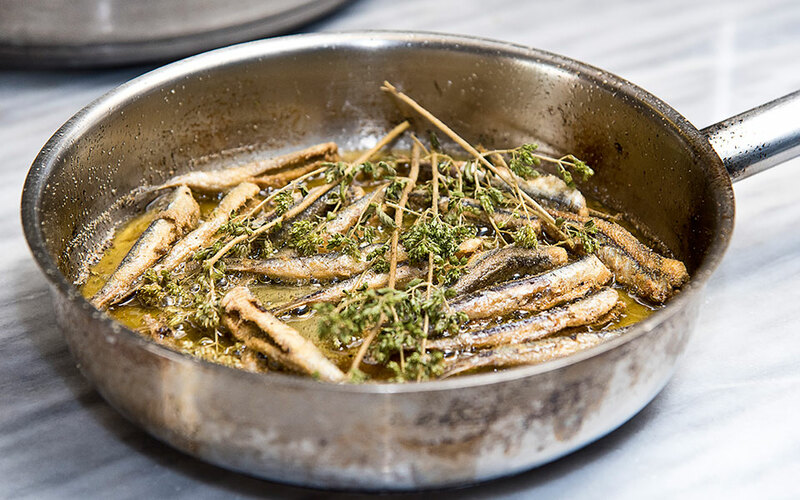 The bread is grilled and served with olive oil and oregano, the marinated anchovies are given a kick from chili flakes, and the fish comes fresh off the little boats of the fishermen who sell them directly to the taverna. The fried red mullet is a must. On windy days you will also be treated to a show from the kitesurfers and windsurfers who frequent the nearby watersports club. An unusual menu is presented by chef Giannis Loukakos at Mourga. Focusing on fish and seafood, the fresh specials of the day are dishes such as vine leaf rolls with bulgur and cod, orzo with mussels, octopus with beans and lentils, and other interesting creations. You can also order big or small fish, fried or on the grill. The menu changes daily, depending on what fresh fish are available. A favorite among the locals, this historic restaurant in the Ladadika neighborhood, across from the harbor, is famous for its fried cod with french fries and handmade skordalia (garlic dip) – the Greek version of fish and chips. The grilled shrimp and octopus, fried squid, and small fish are also good. This is a restaurant with history (going back to the 1920s) and possibly the best taramosalata (fish roe dip) in the city, as well as perfectly cooked fresh fish. Try the mussels, cooked in various ways, and a tartare made from sea bass, red mullet, or even shellfish. A long wine and spirits list allows you to find a perfect pairing for your order. As a welcome, you will be served some of their own olives, taramosalata (fish roe dip), and fish carpaccio. 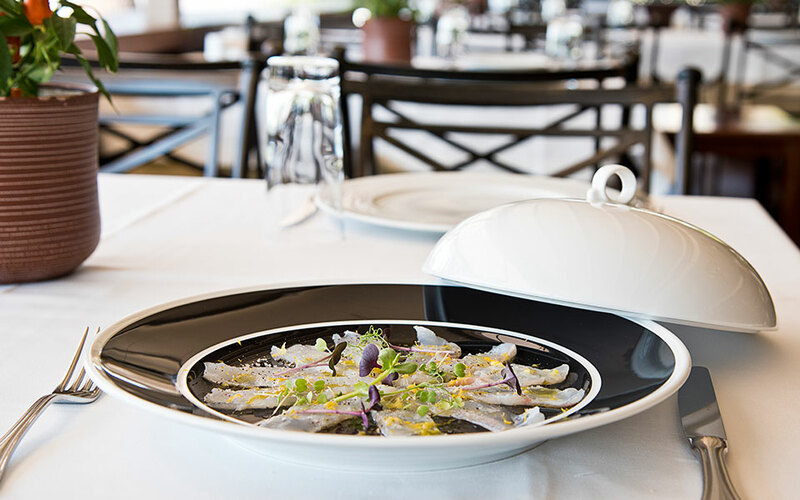 During the 36 years since this restaurant opened, it has become a favorite among celebrities, who visit for the fish soup, the fresh fish, the delicious bonito, the steamed cod with wild greens, and the marinated anchovies. 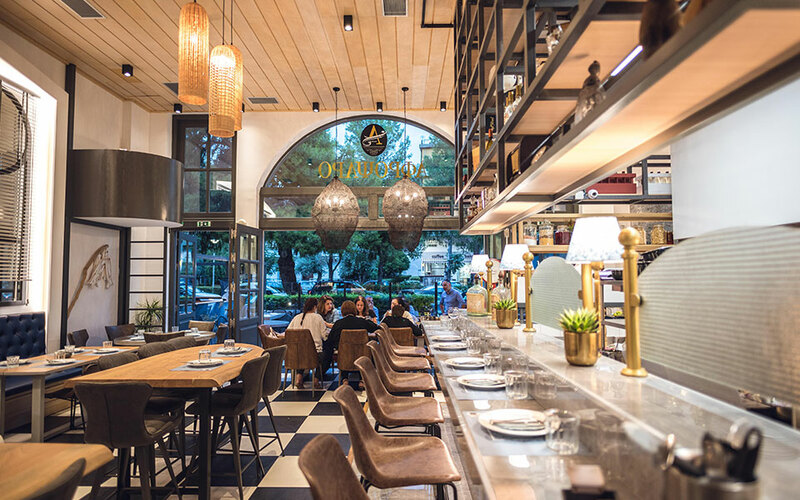 At this tastefully decorated modern restaurant, which you’ll find on Eleftherias Square, you can enjoy creative dishes such as smoked eel with beet mousse and herb sauce, shi drum with steamed vegetables, white grouper with vegetable puree and spicy tomato dip, and orzotto with crayfish. Pair your meal with a bottle from the extensive wine list. In the center of town, Tarti serves excellent seafood meze. Named for a beach on the island of Mytilini, where the owners are from, many of the ingredients used, like some cheeses and the cured fish, also come from the island. Try the grilled sardines and octopus, pan-fried red mullet and cod, and many more scrumptious appetizers. Tables are set out in the stoa (arcade) outside this meze restaurant which offers simple dishes such as small fish, fried in good oil, along with potato salad, fava (yellow split pea dip), and wild greens. Expect affordable and good food, and, if you’re lucky, live music. This is a large restaurant, and you can choose to sit inside or at a table on the sidewalk. Big and small fish are grilled with skill, and shellfish and other seafood is flavored in unusual but delicious ways. Try the shrimp with curry. There is also a rich list of wines and spirits to go with your meal. Anything you order at Lola is good; try the school shark “saganaki”, the steamed monkfish tail, the fresh squid with basil sauce, the fried prawns, the shrimp orzotto with pesto and beer, and small, grilled or fried fish. They make their own fava (yellow split pea dip), and many other tasty appetizers. It’s a small space and it fills up easy, so it’s best to make a reservation. Loutros This taverna, which you’ll find at the Bezesteni market, is famous for their seafood. Try the cuttlefish cooked in wine, the shrimp “saganaki”, the mussel pilaf, the pan-fried red mullets, and other seafood meze dishes.